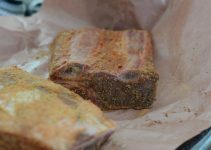 Desserts are more complicated to prepare as compared to a cut of meat. A lot of processes are required. There are however desserts that can be perfectly done through sous vide. These desserts have been specially created to fit into the moist and low heat characteristics of sous vide cooking. 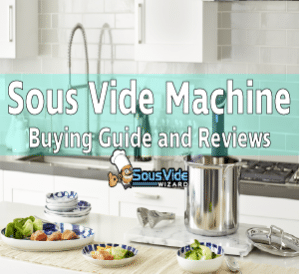 Most sous vide machine owners are more focus on cooking mouthwatering main dishes. The gadget after all is known for cooking meat, beef, chicken and salmon to perfection. Never ignore the capability of precision cookers to come up with delectable desserts. Soft apples are perfect fillings for an apple pie. Apples that have been cooked longer though does not mean softer apples. They need to be cooked carefully so that the enzymes present in apples will transform its pectin content into something more stable. Apples cooked at 1850F will result in mushy apples. However, if apples are cooked longer and at only 1600F will be tender and not mushy. There are a number of ways to achieved it using the sous vide cooking method is the easiest and most reliable way. With the sous vide method all you need to do is just place the apples together with cinnamon, sugar and cornstarch in a sous vide bag, seal with a vacuum sealer, and cook it at around 1550 for about 1 hour before baking. Cooking apples through the sous vide machine allows them to be cooked long enough to maintain its shape when they are baked. This is a better and foolproof way to achieve superior results as compared to cooking apples in a stovetop or in the microwave. Sprinkle sugar, cinnamon, cornstarch, lemon juice and zest on the apple slices. Toss until well blended. Place the apples and all the juices in a vacuum sealed sous vide bag and drop to the water bath. Remove the apples from the vacuum sealed bag and transfer to a Dutch oven. Heat while frequently stirring over medium-high heat until the juices thicken. This will take about 15 minutes. Spread the apples in a single layer on a baking sheet. Let the apple cools for about 1 hour. Transfer 12 inch diameter dough into a 9-inch pie plate. Add in the filling into the pie shell. Top the pie shell with dough and trim both edges. Brush egg whites on the top surface of the pie and evenly sprinkle some sugar. Place the pie on the oven and bake until the top surface becomes light golden brown or for about 20 minutes. Lower the heat to 3750 Bake until top surface turns golden brown for about 25 minutes. Allow the apple pie to cool for about 4 hours at room temperature before serving. Desserts cooked using the sous vide cooking method have a distinct flavor and texture that traditional cooking is not able to produce. And not to forget, are healthier too. An apple pie is one dessert that can be done perfectly through sous vide. 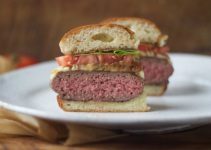 So You Want To Cook Perfect Sous Vide Burgers? 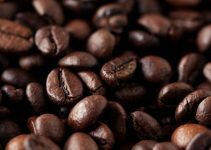 Sous Vide Coffee: What Is It and Why Is It Gaining Popularity?